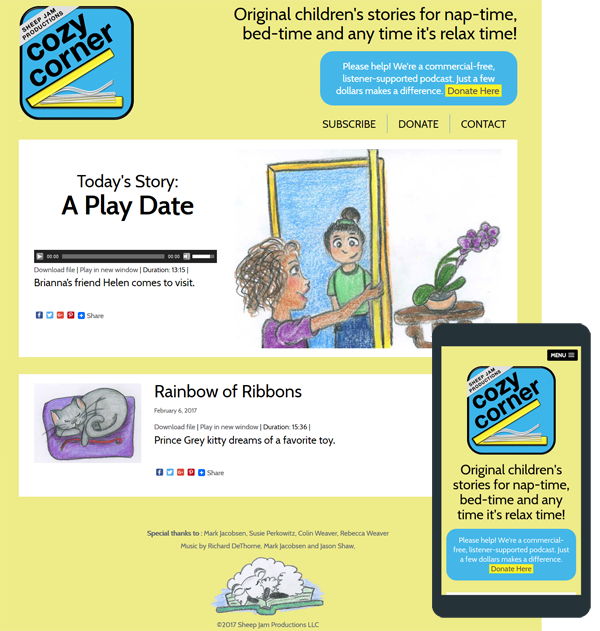 Producing a quality podcast is no mean feat but that is exactly what Cozy Corner Podcast is doing. Each day they post an original Children’s bedtime story complete with music and kid friendly relaxation techniques. This is a simply designed site where the content rules but packs some hefty under the hood functionality to keep the podcast running smoothly.